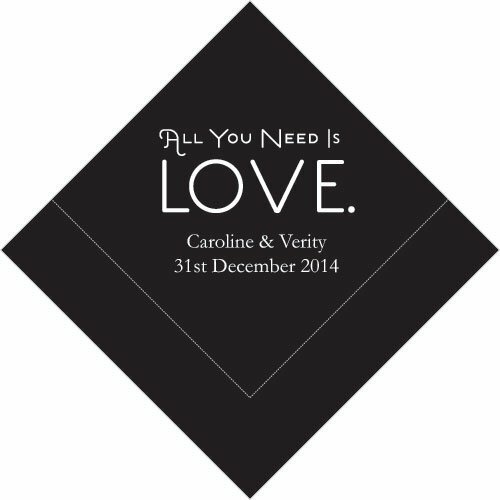 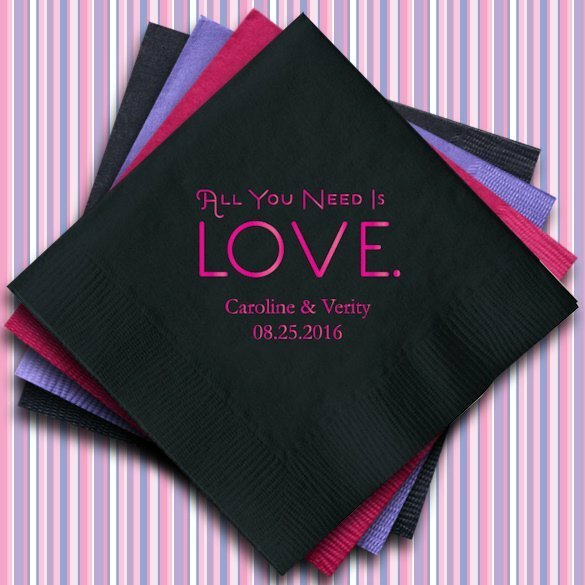 There is sure to be no shortage of love when your friends and family gather for your big day. 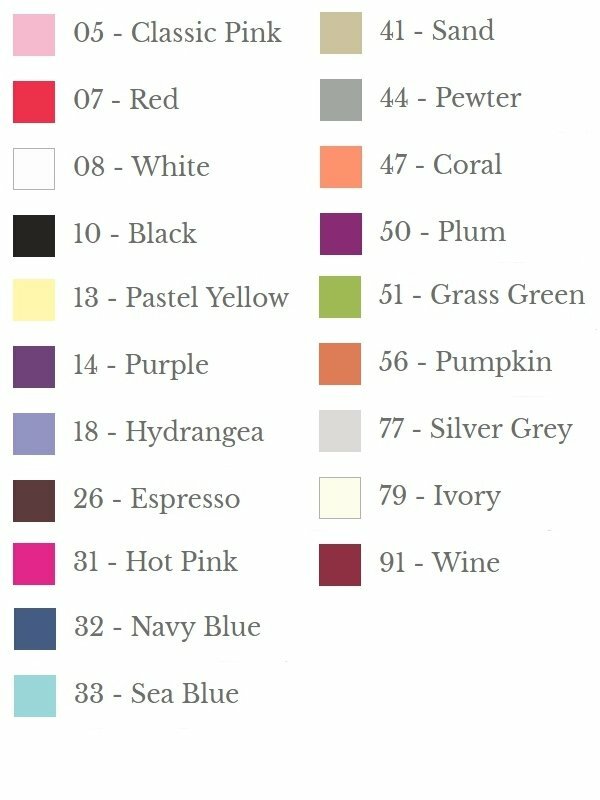 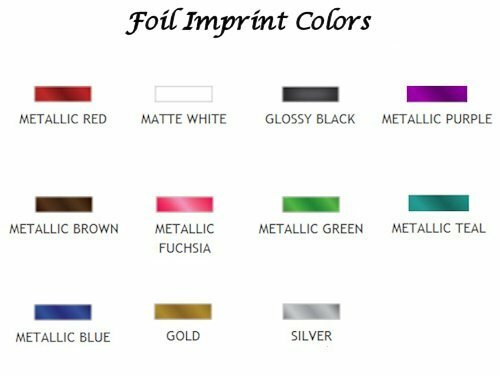 The perfect finishing touch to your event, choose from a large variety of colors to match your wedding colors along with your names and date in your choice of foil colors. 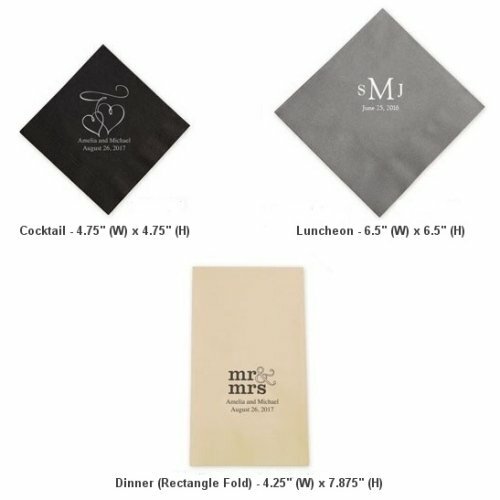 Three ply napkins come in three sizes, order just the one you need, or get multiple sizes to coordinate with the tables, bar and more.